No, I wasn't censoring myself. If you look closely, you will notice that there is not an electronic gizmo in sight. 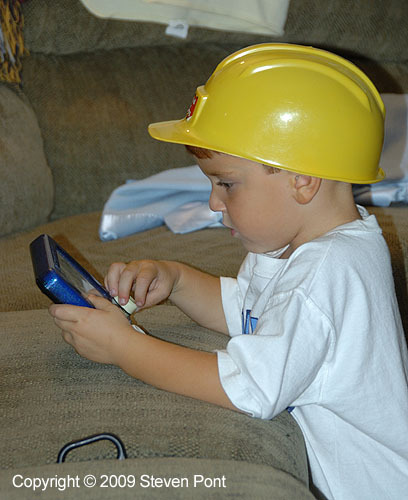 Here we see a boy having fun with a game that has no batteries (Etch-a-Sketch to be exact). I won't mention that two minutes after this picture was taken, he was playing a Wii game with one hand, logging into his Webkinz account with the other, and listening to an iPod. Let's just enjoy the moment.